There are many aspects of cultural heritage that should always be kept in mind, however, one of the most important is ANZAC Day. 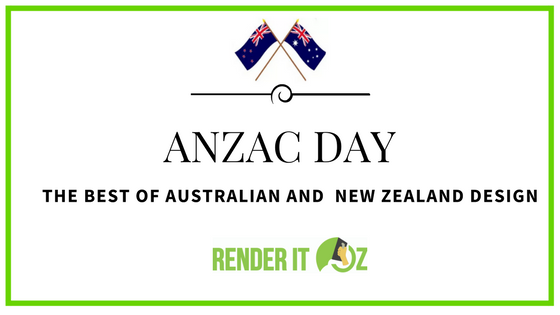 Ever since World War one, Australian and New Zealand citizens have celebrated the courage and sacrifice of all the soldiers who died defending and representing the two countries. Architecture has historically been considered one of the best ways to celebrate cultural heritage, and Australia and New Zealand have plenty of it. The architectural design may have changed over the years, but only for the better, and architects have always managed to keep each of the two nations’ traditional designs alive. There are several contemporary buildings that stand testament to the imagination and ingenuity of the Aussie and New Zealand people. However, there are some that manage to impress a whole world. New Zealand has always been known for valuing the environment and constantly looking for ways to protect it. However, the appropriately named “Hemp House” in Taranaki has taken this philosophy to a whole new level. 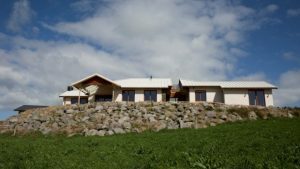 This eco-friendly marvel is essentially a beautiful 320 square-metre rustic home that uses industrial hemp as isolation. Also, the building is a testament to how good architectural design can make use of all-natural materials such as industrial cannabis in order to fix more problems at one. The material is not only a great thermal insulator but also fire resistant. 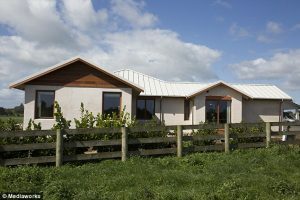 To see more images of the Taranaki Hemp Home click here. 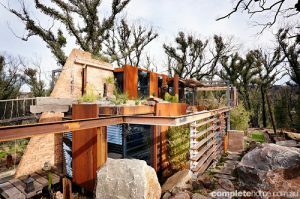 Another extremely impressive building comes from Aussie Chris Hamilton, who proved that a burnt down house can be the perfect foundation for a uniquely styled home. Following the Victorian bush fires of 2009, Hamilton was one of the people who needed a new place to stay. Luckily, he had a spark of ingenuity that took the shape of one of the most impressive rustic structures around. Dubbed ‘Callignee II Regneration’, we think you’ll agree this home is something special. Hamilton considered that it would be fitting for the new building to follow the theme of the disaster that caused it to be destroyed in the first place. 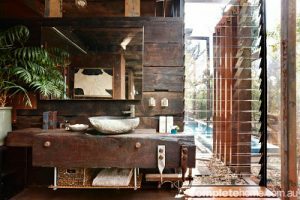 As a result, he created a masterpiece, by using eco-friendly materials, recycled wood from other structures, and even large segments of the old building. To see more images of ‘Callignee 2’, click here. Presently, the home features large argon-filled windows, a beautiful lap pool, and a large toughened glass wall that ensure that the sun will light the whole house during the day. 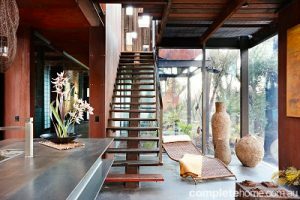 These, along will several other beautiful architectural finishes make the “Bushfire House” at Callignee in Gippsland one of the most beautifully designed Aussie contemporary structures. 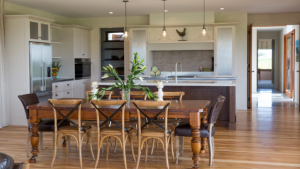 There are a lot of ways through which anyone could take advantage of these design ideas and implement them in their home. Great companies such as Render It Oz can help you add a touch of class and luxury to your new home with beautiful architectural finishes like Tadelakt, Venetian plaster and concrete look renders that are sure to add something unique. Give Gorni and the team at Render It Oz a call today on 0415 310 802 or (03) 5264 7361 and enter the world of unique architectural finishes.